Your private Mercedes van collects you from your hotel, then goes back to 1788 with a drive through ‘The Rocks’. Under the Sydney Harbour Bridge reveals our new theatre precinct – Walsh Bay. An overview of the impressive Barangaroo development before historic Macquarie Street and the Royal Botanical Gardens. 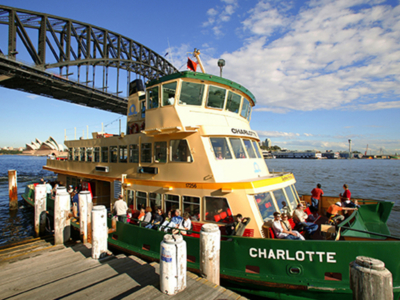 Time to stroll, listen to the history, and save the spectacular Harbour sights to your camera. Your host will happily snap you. Much better than a selfie! 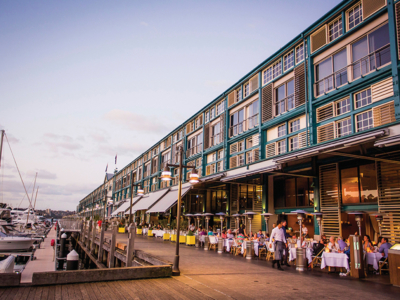 Woolloomooloo’s dockside history contrasts with racy King’s Cross. Then onto some of Australia’s most exclusive suburbs – Double Bay, Rose Bay, Vaucluse, Watsons Bay. Overlook the imposing entrance to Sydney Harbour then historic Macquarie Lighthouse, aglow since 1818. Famous Bondi Beach is next and a chance to feel the sand between your toes. Just ask your host. Next the historic terrace-house villages of Paddington and Woollahra. 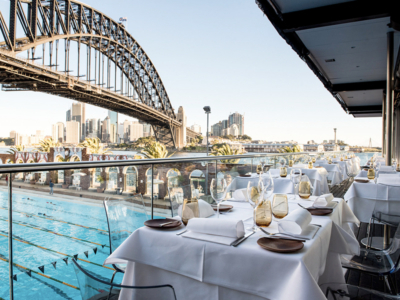 Your lunch is a uniquely located restaurant on Sydney Harbour. There’s no need to rush, you’re on holidays. Return quite near to your hotel at your leisure by ferry. This is Sydney living. This historic dockside village is home to the longest timber pile wharf in the world – Cowper Street Wharf circa 1915. It’s also where Harry’s Café de Wheels began selling the famous ‘Tiger’ meat pie in 1945 – beefsteak pie, mashed potato, mushy peas and gravy. Delightfully delicious. Garden Island Naval Base adds to the character. Perched right next to Sydney’s beautiful Harbour, with spectacular views under the Harbour Bridge to the Opera House and Circular Quay. The view is a banquet of colours and shapes. The food is some of Sydney’s best. Enjoy. Subject to availability. The flagship of the First Fleet was HMS Sirius. It was 110 feet long and 32 feet wide. So too the ‘Sirius Class’ ferry that will return you to Circular Quay after your gourmet lunch. HMS Sirius took almost 11 months to reach Australia. Your ride will be around 11 minutes. Magic.